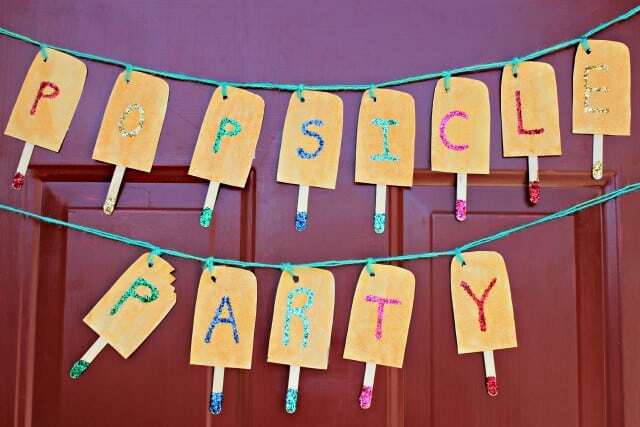 The summer time is perfect for throwing parties and what better theme than a Popsicle party! Anything to cool us down during the hot summer days is a must. 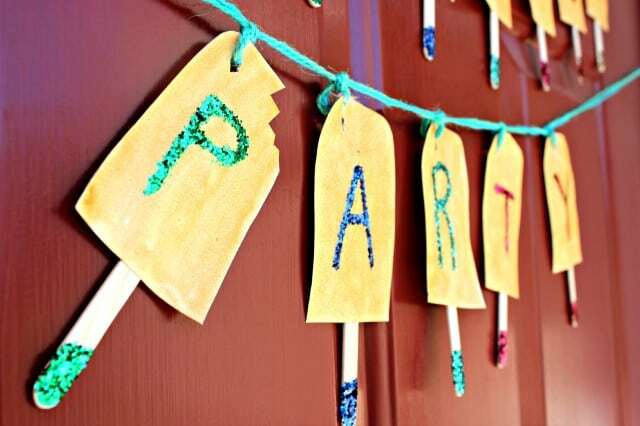 With two kids birthdays during the middle of summer, I am always looking for great summer themes. 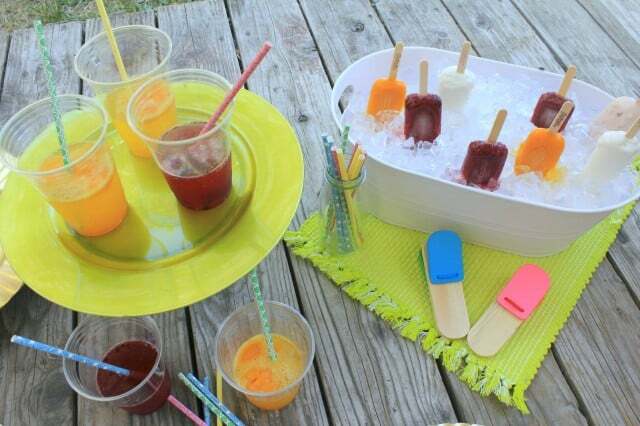 This year we decided to throw a popsicle themed party using our favorite fruit bars− Fruttare. I am a stickler for healthier options and when it comes to desserts I feel I am always turning down my kids. One thing we can both agree on is Fruttare. The fruit bars are insanely delicious and made with REAL fruit. Seriously, one bite and you are sold. Planning our themed party was so much fun as there are so many ideas and treats you can make with the Fruttare fruit bars. The first thing we wanted to do was set the theme for the party right away. This easy DIY banner couldn’t have been more perfect to greet our guests with before they came in. To make the banner I simply cut out Popsicle shaped paper, painted them using watercolor paint, glued on Popsicle sticks, and glitter glued the bottom for a pop of color. Once our guests headed out back they were greeted with some yummy treats to cool them down. For the adults we poured champagne into some glasses and added a yummy Fruttare fruit bar into each glass. There really are no words to describe how amazing these tasted. Who needs a mimosa when you can have these? 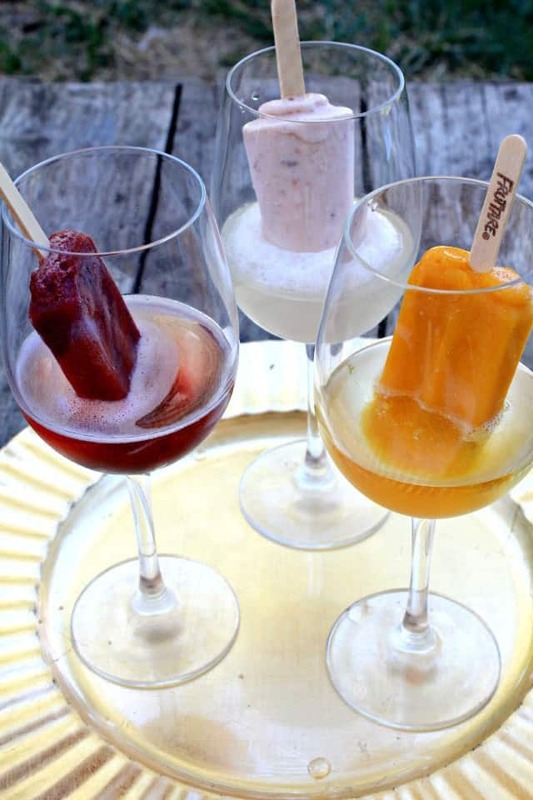 For our yummy champagne drinks we used the Black Cherry fruit bars and the Mango. However once guests left, my husband tried it with the Strawberry & Milk and it was delicious! I am betting the Pineapple or Strawberry Fruttare fruit bars would be refreshing in the champagne as well. For the children we poured some Sprite into plastic cups and added in some Fruttare fruit bars. 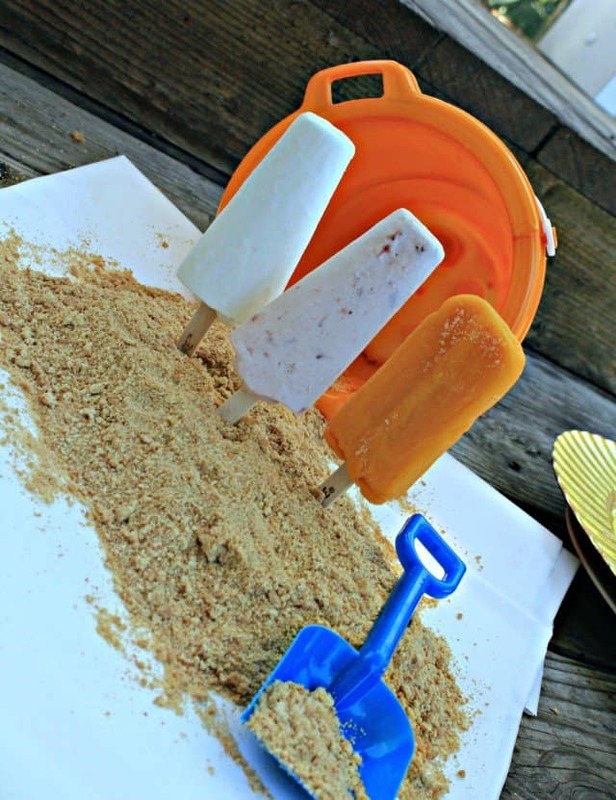 Instead of adding in the entire fruit bar, we cut the bars into pieces and added them in like ice cubes. 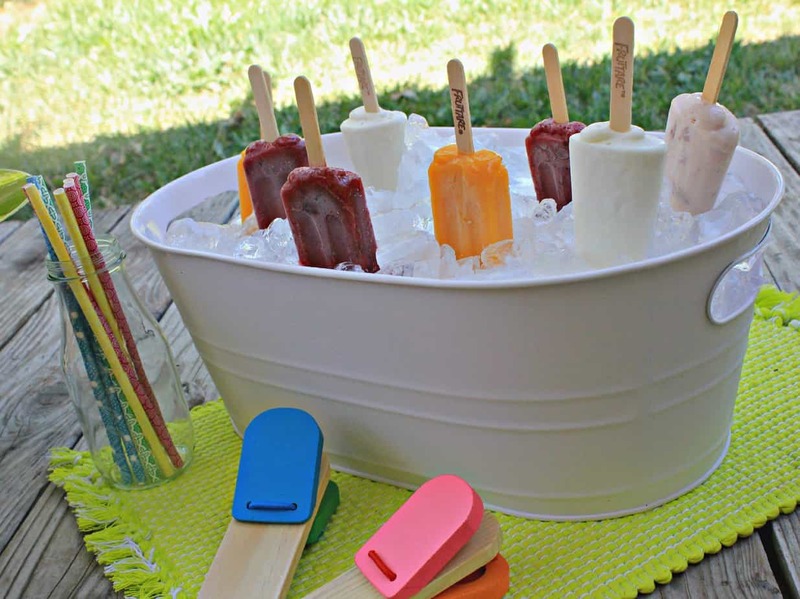 It helped keep the drink cool, added delicious flavor, and by cutting the fruit bars, it helped the kids not be so distracted while drinking. 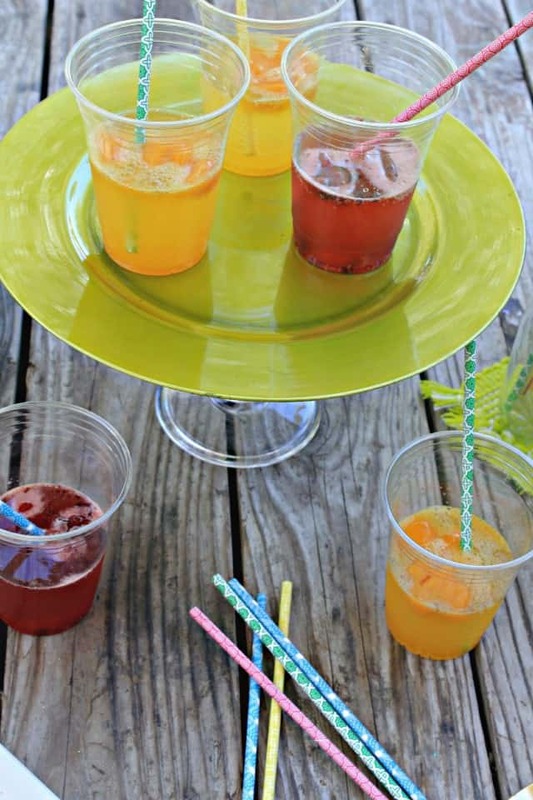 These drinks were a huge hit with the children and they all enjoyed (several) drinks. 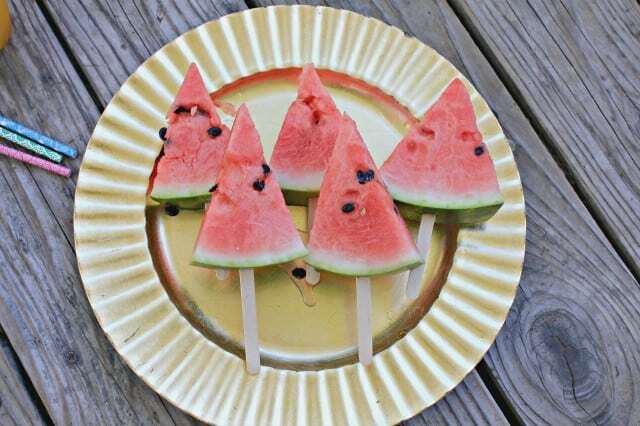 To keep with the Popsicle theme we added Popsicle shaped watermelon. This is a fun and healthy treat the kids could snack on while running around. 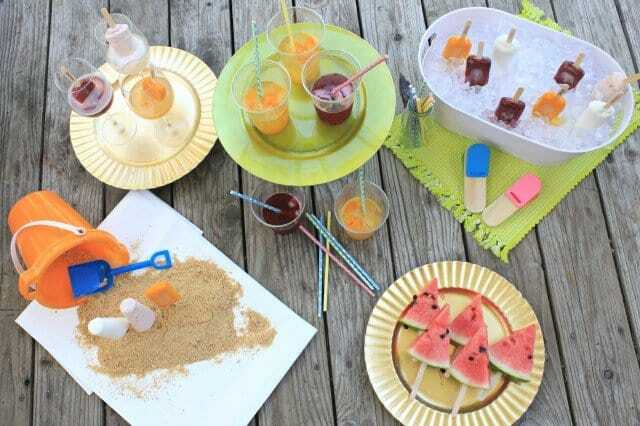 The Popsicle sticks that were added to the bottom helped them not to get the watermelon juice onto their hands. Eating the watermelon seriously made me wish Fruttare made watermelon fruit bars. How amazing would that be? For fun edible decor we made a beach themed table piece. For the sand we crushed up Graham Crackers. This was easy to make and was the talk of the party. The Fruttare fruit bars were a huge hit at the party and parents couldn’t get over how you could really taste the fruit in them. The mango tasted as if you were biting into an actual mango and the coconut milk was as if I had opened up a coconut and was drinking right out of it. I have honestly never tried a Fruttare bar I haven’t liked. They are all delicious and don’t have that artificial sugary taste. The best part? You can get them at places like Target or your local grocery store. I found the boxes I used at our local Target and they were on sale for $3.29.